VietNamNet Bridge – Dong Nai is known for its eco tourist sites like O island, Mai waterfall and numerous fruit gardens. 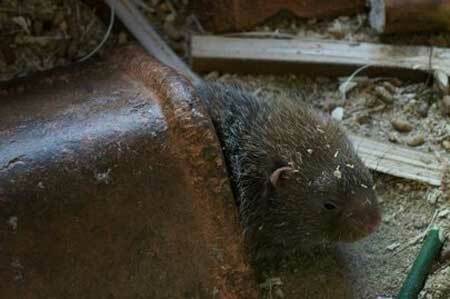 Now, tourists have another choice for their weekend getaway from the city with a new destination - a farm which raises wild animal like nhim (porcupine), dui (lesser bamboo rat) and weasels located next to Tri An Lake. Two tourists take photos and feed a porcupine. From HCMC tourists need to negotiate the National Highway 1A to Dong Nai, then turn left at Tri An T-junction to reach Vinh An Town in Vinh Cuu District. On a 60km journey from the city to Dong Nai, tourists can see numerous sign boards stating porcupine and bamboo rate trading on both sides of the streets when they reach Vinh An Town as five farms cater for the market. The biggest farm Phan Tung has over 300 porcupines, bamboo rats and 30 weasels. This farm supplies the animals for some restaurants in HCMC. 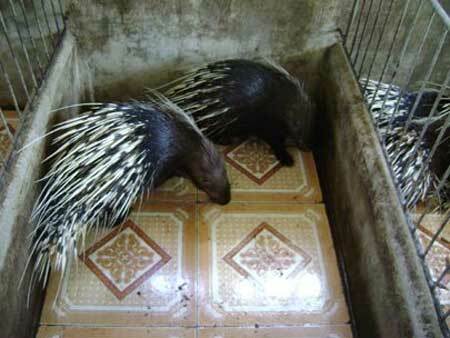 Two porcupines are seen in closeup. Tourists can see the animals in action and poses for photos with them or even feed them. The young owner of the farm, Phan Tung, will enthusiastically talk about the history of the farm and prepare some food for guests. Specialties of the farm are grilled, steamed and stir-fry porcupine and coconut steamed bamboo rat or blood pudding. Food is priced from VND220,000 per kilo (applied for animals under 8kg) or VND200,000 per kilo (for animals over 10kg). Weasels can be cooked in the same style priced at VND1.1 million per kilo. Customers can also order food in their favorite styles. Bamboo rat is an animal which comes to life at night. It sleeps in the day time and is very gentle. Its diet consists of sugarcane and bamboo so it is very clean. Thus, tourists can hold it in their arms for photos. For bookings or for further information, call 0907 960 314 or email trainhimphantung@yahoo.com.vn.